Former MongoDB CEO Max Schireson wants to point you to “the money in open source software.” The problem, however, is that there isn’t money in open source software. Oh, sure, there’s Red Hat. But name a single other example. You can’t, because there isn’t one. To the extent that “open source companies” strike it rich, they’re not doing it with open source. They’re selling the opposite of open which, it turns out, may be the best open source business model of all. Not that everyone believes this. Open Source Initiative director Simon Phipps execrates Schireson’s perspective, accusing him of “a worldview that refuses to recognize the real value of open source.” Phipps also (rightly) uncovers a number of factual errors in the article. Because, let’s face it, that’s precisely what is required, even for Red Hat. While today all of Red Hat’s code is open source, that wasn’t always the case. Red Hat Satellite, which for years was the foundation for its revenue model, was purely proprietary until 2008. It took Red Hat well over a decade to get around to open-sourcing that key technology. By then, every competing Linux vendor was toast, and Red Hat’s (trademarked) brand offered all the intellectual property it needed. Red Hat's model works because of the complexity of the technology we work with. An operating platform has a lot of moving parts, and customers are willing to pay to be insulated from that complexity. I don't think you can take one finite element - like Apache - and make a business out of it [using our model]. You need product complexity. This has worked great for Red Hat. It has not worked at all for anyone else -- which brings us to proprietary value, the foundation for every so-called open source company. The most successful open source companies today, like Cloudera or DataStax, don’t actually sell open source software. They sell proprietary value around it. Sure, you can buy a support subscription, but this is generally conflated with enterprise features and other hold-backs that prod customers to pay. This isn’t evil. It makes sense. Otherwise these same open source companies that do the vast majority of development on a project are forced to spend all their resources competing with themselves. I’ve done it for 15 years. It’s hard. 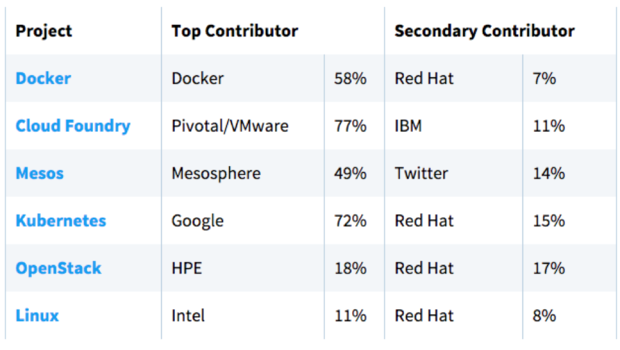 This table from the Web publication The New Stack reveals that the lion's share of open source contributions typically come from a software companies. The other mechanism -- one that Schireson calls out -- is to impose a heavily restrictive open source license that is effectively radioactive to would-be contributors to the code, though generally safe for downstream users of the code. Such licenses, like the AGPL, serve as the equivalent of a proprietary license. Which brings us back to Phipps: He argues, “VCs who miss the point of open source shouldn't fund it,” but I’d argue something more fundamental. Entrepreneurs shouldn’t try to monetize open source ... ever. The companies that make the most money from open source software don’t sell it: Think Google, Facebook, and other giants that heartily embrace open source without having to sell a single line of it. Instead they sell services based on open source. Nor are they alone. Dig into the code base for any proprietary product today, from any software or hardware vendor on the planet, and I guarantee it’s riddled with open source. These companies are selling open source. They’re using (and often contributing to) it, but then selling something completely different. 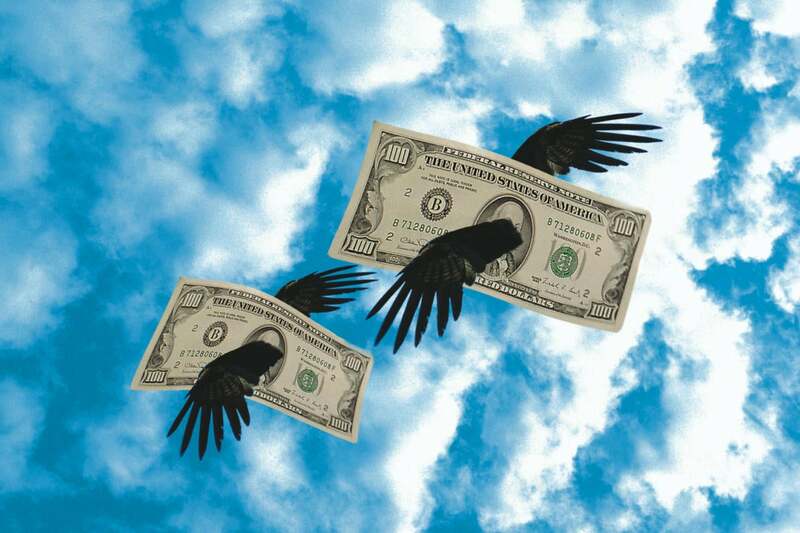 That’s where the real money is: proprietary value built on top of open source. There are lots of different ways to do it, but that’s the fundamental principle.